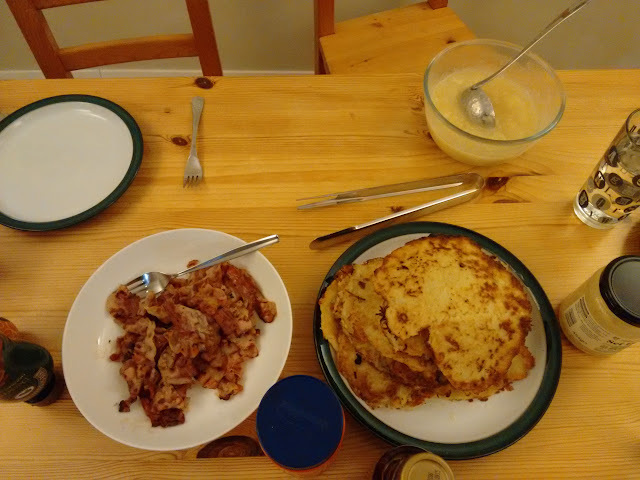 Last weekend we had potato pancakes to use up our surplus potatoes from Christmas. They were particularly yummy with German bacon and apple sauce from the our own garden. Simply fry the mixture until golden brown and it’s done. They taste nice with apple sauce or any other sweet thing, like honey, jam or chocolate spread. The cold weather earlier this weekend produced a stunning sunrise on Wednesday morning. Below is a picture I took from the Thames path in Reading. 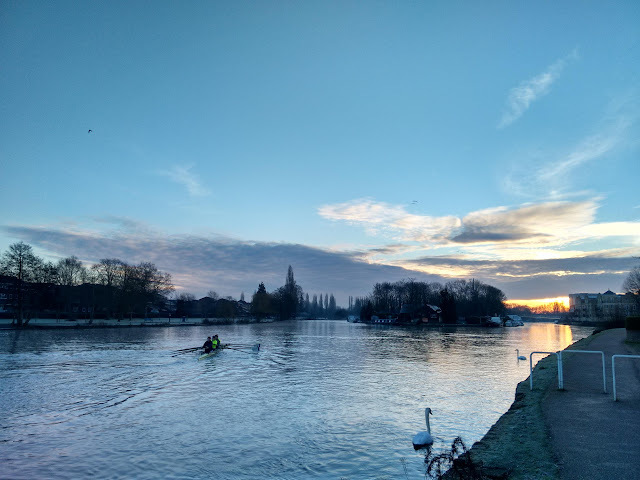 This entry was posted in berkshire, food, reading and tagged pancake, sunrise. Bookmark the permalink. We’ve got an applesauce tree?! ?